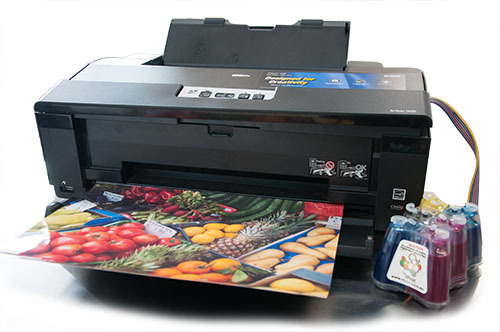 Home and small business inkjet printers can basically be broken down into two different printhead types. Micro Piezo (electronic) heads and thermal heads.Canon and HP use thermal print heads whilst Epson and Brother use electronic heads. In the electromechanical transfer method, piezoelectric elements deformed by electrical pulses cause ink droplets to be ejected. Deformation of piezoelectric elements puts pressure on the ink chamber through the intermediary of flexible substances, which generates ink ejection energy. The image the the right shows the principle of the electromechanical transfer method. 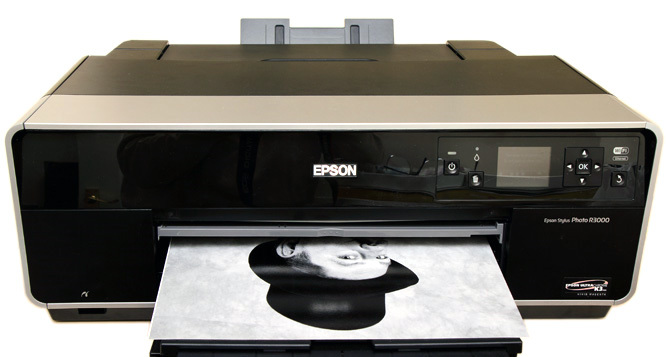 This is the method used in Epson brand home inkjet printers. 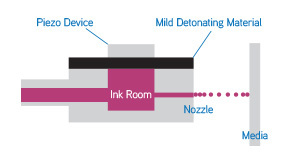 In the electric thermal transfer method, bubbles are generated in the ink chamber, and the expansive force of the bubbles causes ink droplets to be ejected. The ink is rapidly heated and vaporized by the heater in the ink chamber until bubbles are generated. 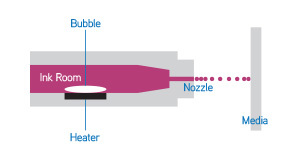 The pressure of bubbles generates the required ink ejection energy.The image below shows the principle of the electric thermal transfer method. 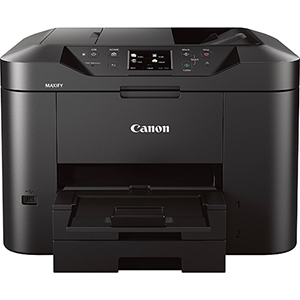 A similar method is used in the Canon and HP printers. As a very generalised rule of thumb, electronic print heads last considerably longer and are more reliable than thermal heads. 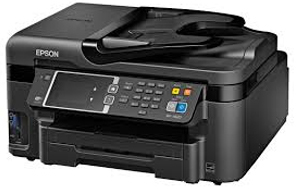 The downside is that they tend to be slower printers than those using thermal heads (although there are some exceptions to this like the Epson Artisan 730 and Artisan 837). 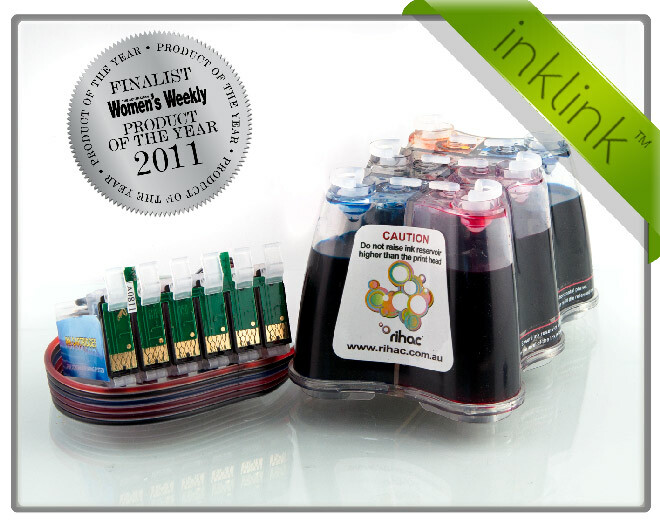 we see with printers both with and without our ink supply systems. 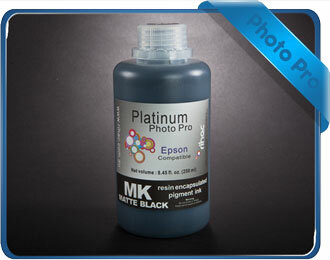 Epson printers tend to be the best photographic and general use printers of the bunch. are easy to manually clean. 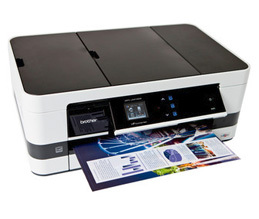 In our opinion the Artisan 1430 is the best A3 printer currently available.